The call of the mountains is familiar to many outdoor enthusiasts. For women adventurers seeking to quench their thirst for expansive meadows, snow-capped peaks, glassy lakes and cascading waterfalls, Mt. Rainier is the perfect antidote. 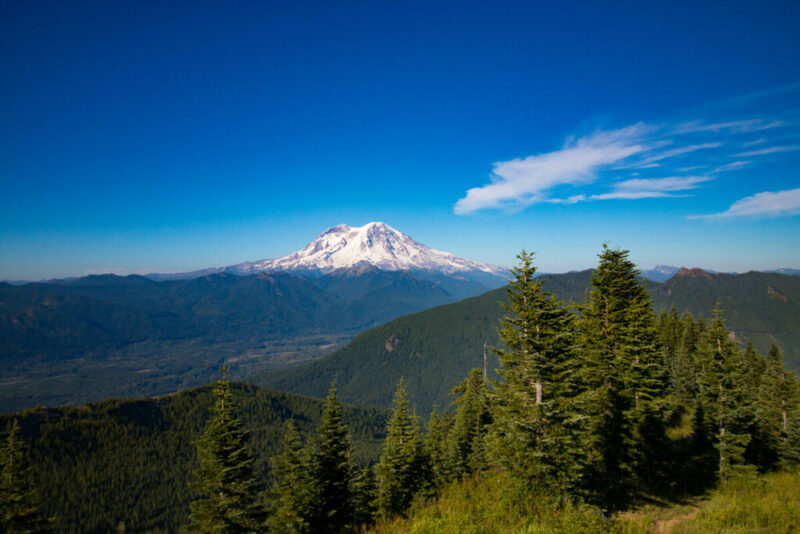 With its national park and heavily forested surrounding areas, this stratovolcano provides nature lovers and adventure seekers with a wide range of year-round activities and an opportunity to turn inward and find deep connection. Mt. Rainier is approximately two hours from Seattle and three hours from Portland. If you don’t live in the Pacific Northwest, both cities have international airports and fast access to Mt. Rainier gateway communities—like Ashford, WA. Most of the Mt. Rainier Campsites are available on a first come, first serve basis from late May to late September. The exceptions include sites at the Cougar Rock and Ohanapecosh Rock campgrounds where you can reserve your spot in advance. If you are planning a trip with your sisters in outdoor adventure, large group campsites are available as well. Site amenities vary. Check the National Park Service site ahead of time for availability and book in advance. During the colder months, lodging at nearby cabins is a great option. They vary in amenities from rustic to luxurious. Three Bears Lodge and Almost Paradise Mountain Vacation Rentals offer cabins with fire pits, hot tubs, beautiful views, and some have fully stocked kitchens so that you can prepare your own food. If you prefer to stay inside Mt. Rainier National Park, Paradise Inn is a beautiful lodge offering rooms to travelers. Note: much of the lodge is under renovation, and will be until May of 2019. Check the website in advance. Lodging options outside of the park include the rustic Nisqually Lodge and the quaint Alexander’s Lodge. Many of these lodging options are pet-friendly and allow woman’s best friend to accompany her on her adventures. If you prefer to prepare your own meals, Ashford, WA and other nearby towns have small groceries with basic goods. For meals out, Basecamp Bar & Grill is six miles outside of the national park in Ashford and has a selection of burgers, pizzas, sandwiches, and wraps. Situated 6,872 feet up at Crystal Mountain Resort, The Summit House is famous for being Washington’s highest elevation dining and takes your girl’s night out experience to the next level. Guests travel there by gondola or ski lift and the menu includes burgers, seared beef tenderloin and expansive alpine views. Crystal Mountain Resort gives visitors a bird’s-eye view of the Cascade Range and Mt. Rainier via gondola. Whether covered in wildflowers or drifts of snow, experiencing the wilderness landscape from above is extraordinary. The ascent climbs 2,000 vertical feet to the summit of Crystal Mountain where along with the view, the ride gives passengers access to a restaurant, shops, and mountaintop trails. Mt. Rainier Gondola runs from June through September for the summer season and then rides are offered again for ski season during the months of November through April. If you are looking for a truly unforgettable experience, catch a breathtaking view of Mt. Rainier from a hot air balloon. Seattle Ballooning offers one-of-a-kind experiences with a route that begins at the City of Enumclaw and takes you over rivers, lakes, farmland, and gives you a unique view of the stunning Mount Rainier. When your flight comes to an end, you enjoy a toast with champagne while nibbling on brie and fresh croissants, provided by the pilot and crew. Private rides or a shared trip with up to eight passengers are available. Rides are available May thru September 29, There’s still time to book! Nature lovers and photographers benefit from a trip to Northwest Trek, where guided tram rides and walking paths take visitors through the 725–acre Wildlife Park nestled in the forest near Mt. Rainier. It is home to over 200 North American animals that can be seen by tram in the 435-acre free roaming area, or by foot on hiking paths that pass through a variety of habitats where exhibits with like species live together. You might catch a glimpse of black and brown bears in bear country or see gray wolves, foxes, and coyote’s in the Northwest wilderness areas. For a more intimate wildlife encounter, Keeper Tours take you within a few feet of moose and bison while the keeper feeds them. Mt. Rainier is the perfect place to get all of your hiking, biking and snow play in, but sometimes you want to kick back and relax when you’re on vacation. Mt. Rainier Railroad & Logging Museum takes visitors on seasonal and themed steam train rides through the forested foothills south of Mt. Rainier and across the Upper Nisqually River to a museum in Mineral Washington. While the standard train ride is tons of fun, gathering your friends for one of their special offerings is well worthwhile. The Washington Wine express pairs wine tasting with winding through forests. Taste award-winning sips and meet the vintners who produce them. The Hard Cider Express features ciders made from Northwest apples grown across Washington State. Enjoy imbibing while chatting with the cider makers. Finally, Rails to Ales celebrates Oktoberfest in the best way when you board the Eastern Railway of the Milwaukee Road and wander through the bluffs while hanging out with brewers. If you’ve been fantasizing about climbing Mt. 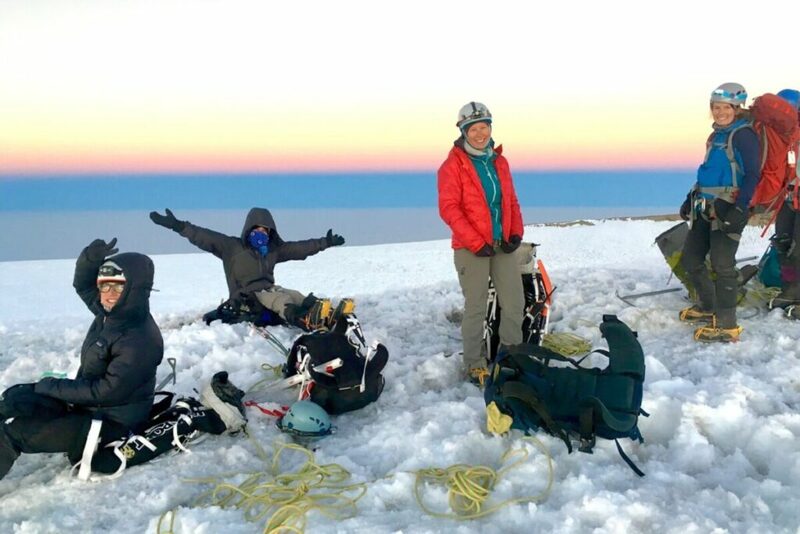 Rainier with your best friends, you need to check out the International Mountain Guides (IMI) All Women’s Mt. Rainier Climb. 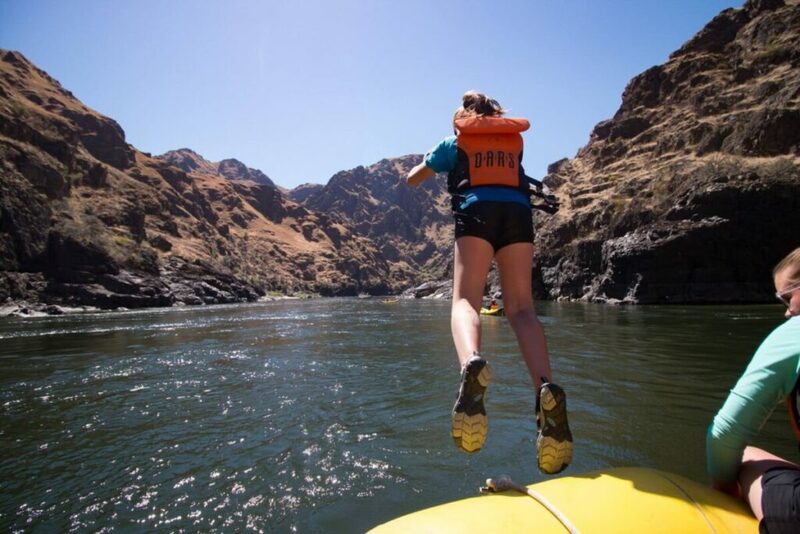 Led by female guides, this three-and-a-half-day adventure usually takes place in July. Designed to offer an individualized experience, those in your crew who need a little training receive extra instruction, while the rest of you enjoy a less rushed, more relaxed ascent. You and your tribe visit two camps on the trip: Camp Muir at 10,080ft and an established tent camp at The Flats at 11,000ft. IMI maintains a 2:1 client-to-guide ratio, so you feel safe and supported. And to minimize your haul, the staff provides essentials like shelter, stoves, cook wear, climbing gear and all of your meals. This excursion is a great opportunity to explore your courage and strengthen the bonds in your friendship circle. The dates for next season’s climb is scheduled to be released in the next two weeks. The All Women’s Mt. Rainier Climb does fill fast and the folks as IMI suggest reserving your spot before mid-October. Tip: Sign up for the IMI newsletter to be one of the first to receive the climbing dates! 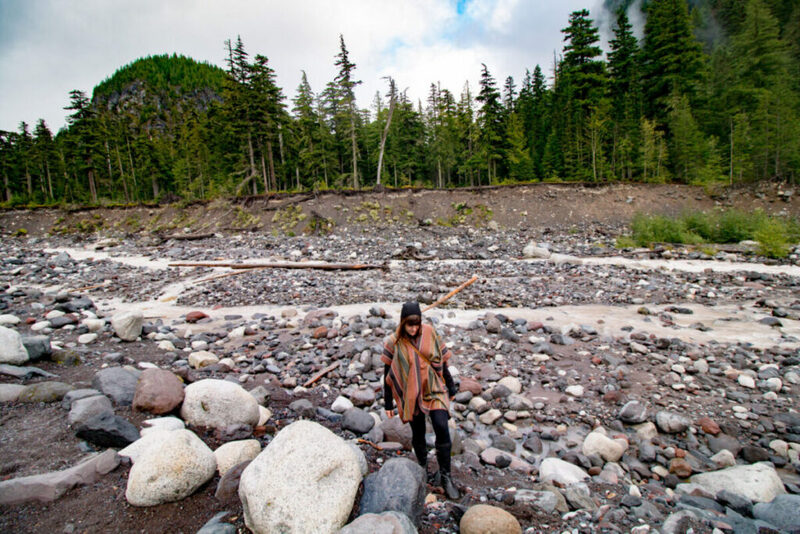 Located inside the national park, Carbon River Road runs through an inland temperate rainforest providing access to lush forests and rushing rivers. The five-mile path is level with little gain, making it perfect for new and seasoned riders. Intermediate level bikers can easily navigate the Ashford area’s eight-mile-long Silver Creek Trail and its 1,300-ft gain. The low-traffic path passes over bridges, through wetlands, and gives visitors a stunning glimpse of Mt. 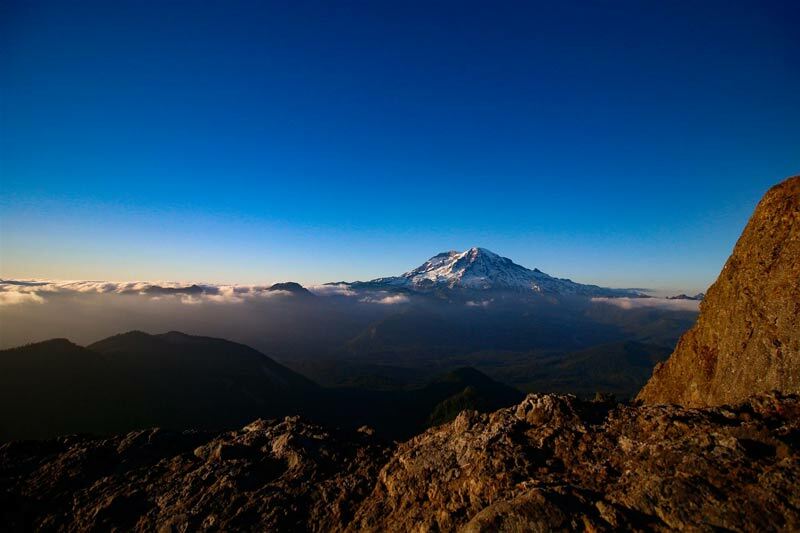 Rainier and access to solitude and wildlife encounters. 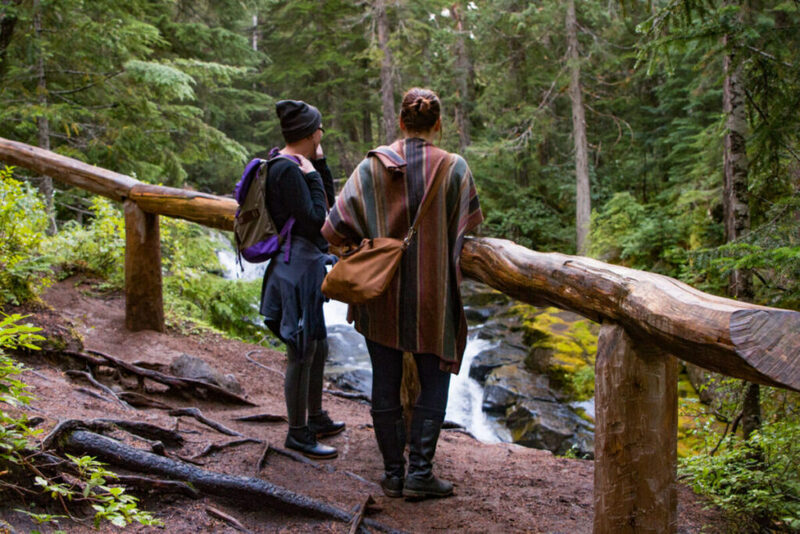 Silver Falls: This hike is an easy three-mile loop that passes through soaring trees and past roaring waterfalls. This hike gives you some distance but is appropriate for all skill and fitness levels. Bench and Snow Lakes: Perfect for a hot summer day, the 2.6 miles of trail wanders by two lakes where hikers can splash and cool off as a reward for their hard work. Tip: Grab trail maps from the area’s rest stops, groceries, the National Park Visitor’s center or website in advance. Rampart Ridge: This moderate route climbs steeply through the woods and gives hikers stunning glimpses of the Nisqually River. The 4.6-mile loop takes you beneath the forest canopy and swings by several viewpoints and resting areas perfect for snapping photos and picnicking. The Sunrise area is the highest point accessible by car at Mt. Rainier. There is a visitor’s center with exhibits, displays, and maps available to help you explore nearby subalpine trails that offer rare views of the Mountain only seen during the summer months when the snow has melted. Crystal Mountain offers 2,600 acres of gentle groomed runs that accommodate all levels of skiers and snowboarders. There are more than a half dozen peaks and basins to explore and the area averages 367 inches of snowfall annually. Book a room at the resort where you’ll enjoy comfy accommodations and superior dining. This destination makes for a dream winter getaway. Snowshoeing reveals the wonders of nature when blanketed with snow and ice. The National Park provides ranger-guided snowshoe walks perfect for beginners and small groups. Equipment is available for a $5 donation. If you are ready to strike out on your own, you can traverse beautiful, white drifts by snow-shoe or skis along a variety of trails, including the .8-mile Trail of Shadows loop, the 3.2-mile River Trail, and Huckleberry Creek’s 4-mile round trip. For an in-depth and detailed list of snowshoe trails, Visit Rainier’s website is an excellent reference. Mt. 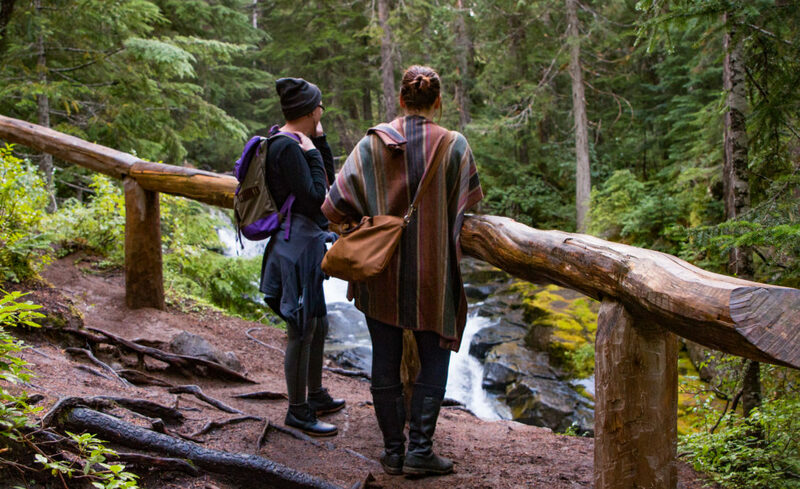 Rainier transforms you with its ruggedly beautiful terrain and wildlife inhabitants. If you are looking for a place to test your skills, personal boundaries, or find a deep connection with the earth—it’s the perfect destination. But beware, once you experience its wonders and the effect it has on your entire being, you will struggle to resist its call. I know I can’t stop myself from returning again and again and again.